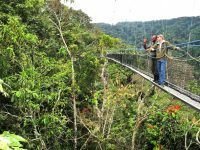 Your 5 days Volcanoes Rwanda gorilla trekking safari and Congo Nyiragongo hike is a 2-country tour starting in Rwanda to Congo and back to Rwanda. This cross-border safari features a Kigali city tour, hiking to the summit of mount Nyiragongo and a Rwanda gorilla trekking safari. 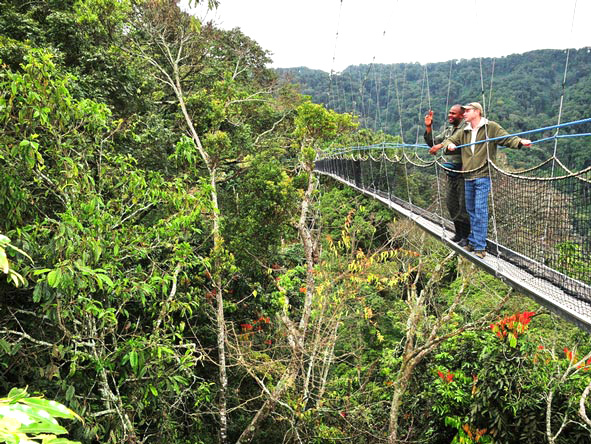 During these 5 days 4 nights Rwanda tour and Congo safari, you will have the chance to trek gorillas in East Africa and hike one of Africa’s most active volcanoes in West Africa within the same mountain massif. The beautiful and scenic landscape of Rwanda with several hills has attached it to the slogan of the land of a thousand hills. In this beautiful land is a home to some of the remaining mountain gorillas in the world that count to more than 1000. A Rwanda gorilla safari is the best way to come close to the beautiful round red eyed gentle giants, its awesome. Mount Nyiragongo lava lake was once the most voluminous lava lake. The mountain is about 3,470m high with two distinct lava benches one about 3,175m (10,417ft) and the other at 2,975m (9,760ft). Hiking, spending a night at the summit and descending is an activity one can not afford to miss when they take a safari to Congo, its for the brave and daring yet so rewarding. Day 1: Your driver guide will meet you in Kigali and start the drive to Congo. 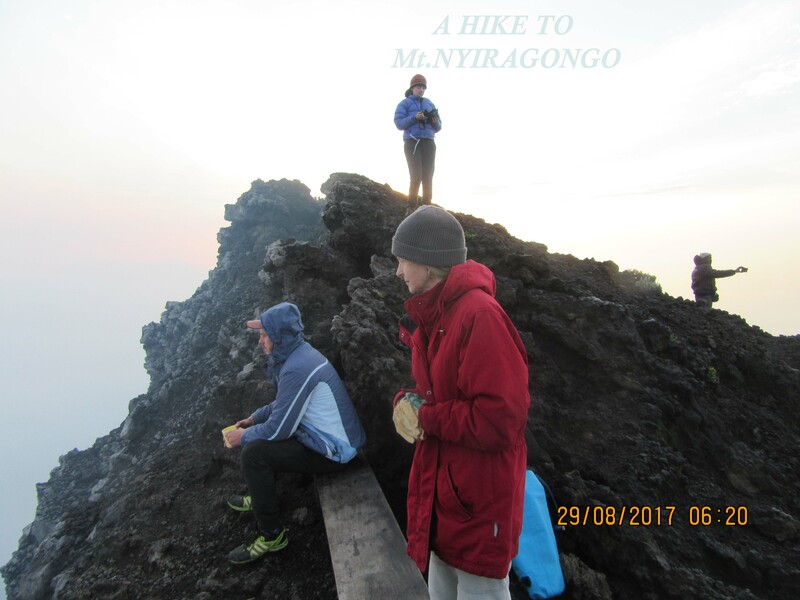 Day 2: You will wake up to have breakfast and start the hike to Mount Nyiragongo hike and spend an overnight at the summit. Day 3: You will descend from mount Nyiragongo back to the park headquarters and be driven back to Rwanda. 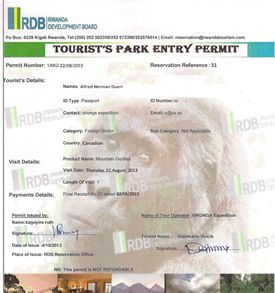 Day 4: You will go to Volcanoes national park in Rwanda for gorilla trekking. Day 5: You will have relaxed breakfast, do a Kigali city tour and return to the airport for departure. Your professional driver guide will pick you up from your place of residence in Kigali or Kigali international airport upon arrival and embark on the drive to Congo. Driving through the Rwandan hillside offers you an opportunity to sight the beautiful sculptured landscape of the Virunga massif. You will arrive in the evening then check in, have dinner and an overnight at your prior booked accommodation in Virunga national park. Your historical hike to the summit of mount Nyiragongo will start at 9:00am from Kibati patrol station lasting about 4-6 hours. 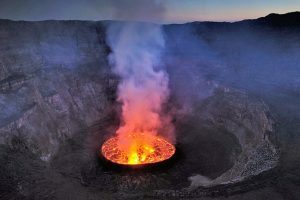 Mount Nyiragongo is marked as the world’s largest lava lake and one of the remaining most active volcanoes in the world evidenced by its recent two eruptions of 1997 and 2002. Reaching the summit depends on one’s physical strength and the night is spent at the crater rim as you view the beautiful red lava lake. Porters can help with the hike, carry luggage and prepare meals. By morning with great views of sunrise at the lava lake, you will start the descend back to the patrol station. Your driver guide will be waiting for you at the station there after you have a meal and start the drive to Rwanda. 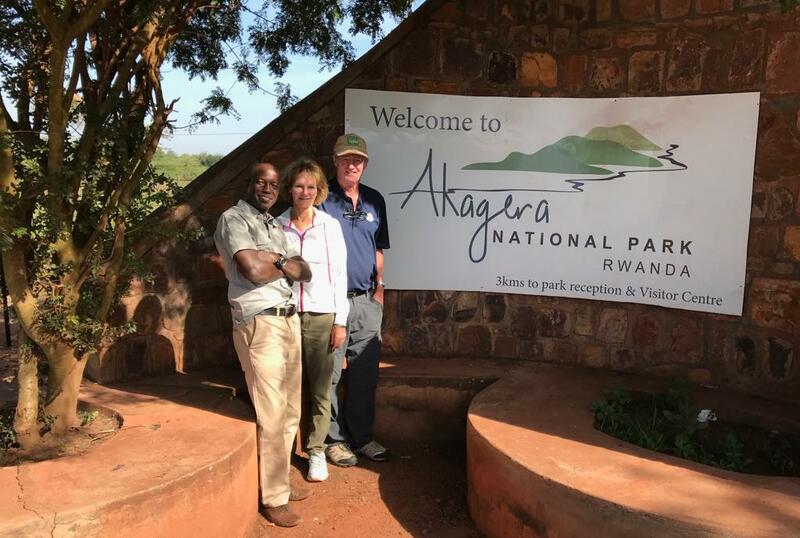 You will arrive Rwanda in the evening, check in, have dinner and an overnight at your preferred accommodation in Volcanoes national park as you wait for your next activity the next day. This is your day for that memorable gorilla safari in Rwanda, your driver guide will ensure you are at the park headquarters before 8:00am. 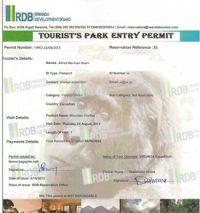 After briefing by the park rangers about the gorilla trekking etiquette, you will go to the jungle in search of the gorilla family allocated to you according to your physical strength. The gorilla trek lasts about 2-5 hours and only a single hour in the presence of the gorillas. You will later be returned to your hotel for relaxation. Have a relaxed breakfast on your last day of safari and then return to your place of residence or to Kigali international airport for departure. Mountain gorillas in the world can only be seen during a Uganda gorilla trekking safari, gorilla safari Rwanda or a Congo gorilla safari and customizing your safari with any other activity makes it so rewarding. Cross borders for good reasons, leave foot prints and carry home great memories. Choose this safari itinerary and customize it to fit your interests.